Happy Halloween everyone! I told you about our big move into our new condo recently. One of the conditions on finding a place was that we needed to figure out a space for our 20 year old son Kyle, that still lives at home with us. Main issue: Privacy. For him as well as my husband and I! What a great room this is turning out to be! I think I especially love it because of all the sunlight in the room. Maybe you have an area in your basement that would make a great space just for you?? He already told me thanks but no thanks on helping him decorate the room. He will do it all himself. OK then. (Actually I am glad he wants to do himself!) He did not like that I had staged the picture on his pillows for my photos. But it’s for the good of the blog Kyle! Have you tackled any painting projects lately? If you need help designing your space, contact me today. Thanks for dropping by! I have to go get ready for the trick-or-treaters now!! 1) Determine the undertone. All beige colors have either a red/pink, yellow, green or orange undertone. Period. That’s all you have to understand and learn. The color examples I have chosen below have very obvious undertones to help you ‘see’ the color underneath. 2) Remember to Compare. The easiest way to see the undertones in beige is by comparing the color to another beige that you know the undertone is either red, yellow, green or orange. Illustrated above are good examples of the undertones. Pick up a sample of each and carry them with you to help you compare to each other. Red. Those red undertones just do not play well with others! Especially pinky beige with yellow beige because the yellow beige ends up looking ‘dirty’ next to the pinky beige. I have found the best colors to work with a red/pink beige are browns, cream and dark blues. 4) Know which undertones to mix to create a unified room. To create the best put together, coordinated look when mixing undertones is to keep the red undertones with red undertones, yellow with yellow, green with green and orange with orange undertones. 5) Practice makes perfect! The good news is that after you learn what is not working in a room with the undertones, you will be able to correct the mistake. Take a look at your carpet (is it a pinky beige?) and compare it to the beautiful Powell Buff that you painted your walls. Now that you have learned that pinky beige and yellow beige do not work together you can easily ‘fix’ the whole rooms looks by changing the wall color to a pinky beige also, such as shaker beige hc-45. So I hope this helped you understand beige colors and their undertones better. If you want to be a color superstar like me, 🙂 you have to take Maria’s True Color Expert workshop! 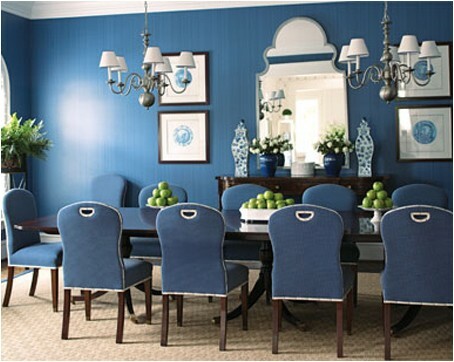 This week on Benjamin Moore’s facebook page, they posted a collection of colors that are the most online searched. And the winner is….. This list from Benjamin Moore is again a list full of neutrals. In my post Top 20 Selling BM Paint Colors for 2010, I noticed the list was all whites and neutrals. It really surprised me until someone pointed out that it probably was paint that was bought for trim and doors. That makes sense. I’ve also listed the entire list of runner up colors with photos below. Are any of them surprising to you? Don’t you love to be able to actually “see” photos of the rooms painted before you make your decision on which color to choose? Are these some of the colors you have searched lately? Just be aware of the undertones my decorating friends! wythe blue HC-143. Such a beautiful color. If you need help with choosing paint colors for your home, contact me today. One of my favorite activities in the Fall is following the local map guide and finding all the decorated ‘Pumpkin People’ in Jackson NH. This fun tradition is in it’s 24th year. This year there were 48! entries of Pumpkin People to be judged. Isn’t it amazing? Have you ever been to visit the Pumpkin People? I give their creators so much credit for their hard work and imagination. Very creative, very cool! Taking pictures at sunrise. Not quite peak yet in the valley but it is changing really fast! It is just breath-taking gorgeous! Comments? Anyone else love New Hampshire?